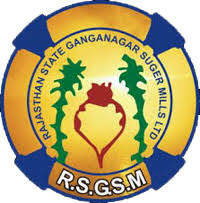 RSGSM Jobs Recruitment Notification 2018.Rajasthan State Ganganagar Sugar Mills (RSGSM) inviting applications for the positions of Assistant Accounts Clerk Jobs.Interested and Eligible candidates can apply for the positions. Last Date for Submission of Application is on October 17th, 2018.. Number of vacancies to be filled in RSGSM is 13 for Assistant Accounts Clerks. A degree in commerce/ inter CA/Inter ICWA/ diploma in computer science and engineering holders can apply for this job notification. For general /UR candidates the age can be in between 18 to 40 years, age relaxation for SC/ST is 05 years, OBC is 03 years. On basis of written exam and interview session contenders are going to be selected. Mode of applying for RSGSM recruitment is through online. The online portal link will be active up to 17th October 2018.
http://ibps.sifyitest.com/rsgsmacaug18/ is the link for applicants to apply directly.